Wouldn't it be great if all school teachers (from kindergarten through high school) would share the joy of mathematics with their students, rather than focus only on the prescribed curriculum that will subsequently be tested? 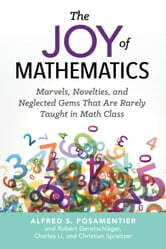 This book reveals some of the wonders of mathematics that are often missing from classrooms. Here's your chance to catch up with the math gems you may have missed. 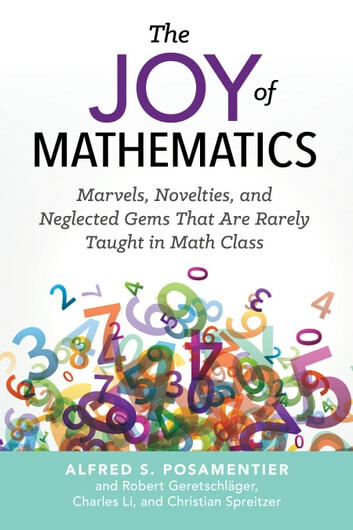 Using jargon-free language and many illustrations, the authors--all veteran math educators--explore five areas--arithmetic, algebra, geometry, probability, and the ways in which mathematics can reinforce common sense. Among other things, you'll learn "the rule of 72," which enables you to quickly determine how long it will take your bank account to double its value at a specific interest rate. Other handy techniques include an automatic algorithm for multiplying numbers mentally and a clever application that will allow you to convert from miles to kilometers (or the reverse) mentally. A delightful presentation of geometric novelties reveals relationships that could have made your study of geometry more fun and enlightening. In the area of probability there is a host of interesting examples: from the famous Monty-Hall problem to the counterintuitive probability of two people having the same birthday in a crowded room. Finally, the authors demonstrate how math will make you a better thinker by improving your organizing abilities and providing useful and surprising solutions to common mathematics problems. You'll come away with an appreciation for math you never thought possible and a true appreciation for this "queen of the sciences."